Home Miss Kenya 2016 Miss World Evelyn Njambi is MISS WORLD KENYA 2016 | Original Winner was DETHRONED! 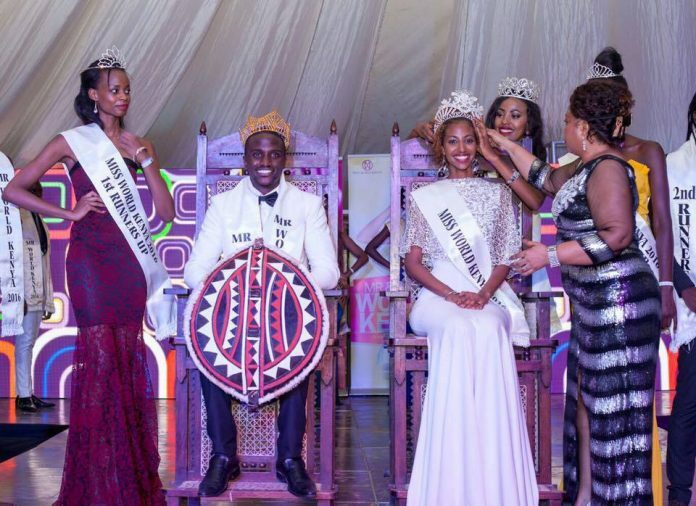 Evelyn Njambi is MISS WORLD KENYA 2016 | Original Winner was DETHRONED! Evelyn Njambi is crowned Miss World Kenya 2016 after the original winner Roshanara Ebrahim was fired by the organizers! She replaced Roshanara Ebrahim who was dethroned due to a breach of the Miss World franchise's "code of conduct". Evelyn, 23-year-old interior designer student at Maseno University was Miss World Kenya Kiambu County 2016. This Kenyan beauty who was Miss World Kenya 2016 First Runner Up during the finals night has also volunteered with the Red Cross group in Kiambu, wherein she donated textbooks and uniform for the unfortunate children. She will represent the african nation in the 66th edition of Miss World pageant to be held in Washington, District of Columbia, on the 20th of December 2016.